Kitchen design is one of the many services that we specialize in. You may have specific ideas, plans, or dreams of your kitchen renovation and our experts are here to best guide you in the right direction. Our company has the experience in design and craftmanship to create the kitchen you deserve. Whether your main focus is function, performance, quality, durability, storage, style or price. We will get you there. You’ve come to the right place. 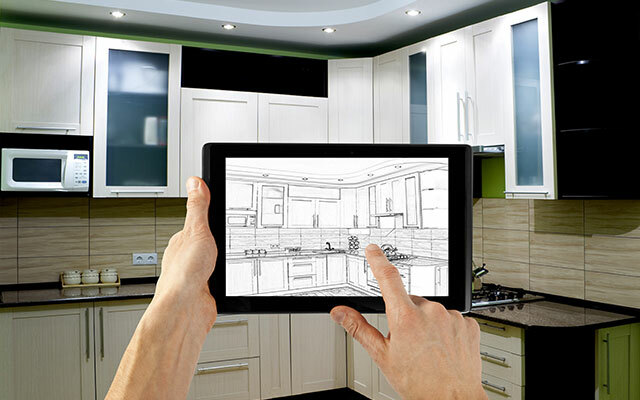 Ally Builders is now offering a better way to improve your kitchen renovation. Our 3-step, full-service remodeling approach makes kitchen remodeling much easier and more pleasant for you. Kitchens have become the center piece of the modern home, and a focal point of everyday life and entertaining. More than any other room, the kitchen seems to be where we spend more and more time while at home. A well-designed cooking and dining area can inspire you to spend more time preparing meals and can be the motivation for entertaining friends or family over and showing off your well-honed gourmet skills. While designing your kitchen can feel overwhelming, working with our team is not. Our track record when it comes to kitchen renovations is impeccable, and we know that guaranteeing such results requires a custom consultation with every new customer. We will guide you every step of the way in the decision process and work with you to assess your needs, discuss your goals, and allay any worries. Renovations begin with a thorough gutting of the entire space. We then employ trusted, licensed professionals to run full checks on all electric and plumbing that directly affects your kitchen. Once the area is prepped for construction, we get to work implementing the custom design that you assisted us in creating and approved using our advanced imaging software. Our people match the quality of our products. Knowledge, attention to detail, skilled craftsmen, and a commitment to quality, hassle-free service are principles that have guided us since its inception. From consultation to installation, our experts will be with you to ensure a project that exceeds expectations. Our staff is composed of skilled mechanics that have trained, worked, and grown with us. We never use day laborers or outside hires whose work we cannot guarantee.